A well insulated home can not only improve your comfort levels, it can also reduce your heating and cooling costs. While many homeowners relate insulation to improved heat distribution in the winter time, it is equally as beneficial in the summertime. At AM Insulation Solutions, we provide excellent customer service and our skilled attic insulation installers perform the highest quality installations. There are many reasons as to why investing in new attic insulation this season is beneficial, we will discuss the top few reasons below. When installed correctly, by a reputable insulation contractor, attic insulation can reduce your heating and cooling costs significantly. This is especially true if you happen to reside in an older home. Very few older homes have the proper amount of attic insulation for the current building standards, causing them to lose a tremendous amount of energy on a daily basis. Currently, the standard depth for attic insulation in Ontario, has been raised to an R60 level, which translates to 22.5 inches. Though we have found a large number of homes to be lacking that amount. More than 30% of all heat and cool air loss that your home experiences, is through your roof. That is a significant amount of money being spent on lost energy. By investing in properly installed and quality attic insulation for your home, you can recoup a large percentage of that cost in a relatively short amount of time, through renewed energy savings. In addition to lost energy, a lack of sufficient attic insulation can also cause your home to become uncomfortably warm in the summer months, and uncomfortably cool in the winter. While many homeowners will suspect an issue with their current HVAC system, the answer is more likely to be insufficient attic insulation. When your attic insulation is up to standards, it allows for a more even circulation of energy, reducing the amount of hot or cold areas, and increasing your over all home comfort. Sufficient attic insulation should also reduce drafts within your home. While the household benefits of installing new attic insulation are great, the environmental impact is even greater. By reducing the amount of energy needed to keep your home comfortable, you will also reduce the size of your homes environmental foot print. Considering the amount of household energy that is lost through your attic space, up to 30%, attic insulation is a great place to start if you’re looking for a simple way to be more environmentally conscious. The state of your attic space can have a significant impact on the health of your roofing system. A well insulated, and ventilated, attic space can help to regulate the temperature of your roof and prevent the development of mold and mildew. As UV rays already batter your roof, you’ll want to protect your shingles from being baked from below as well. In the wintertime, proper attic insulation will also prevent ice damming, which can cause serious and costly damage to your shingles. If you need more convincing as to why now is the right time to invest in new attic insultation, you will be pleased to hear about GreenON insulation rebates. For a limited time, you can receive up to $1500 in rebates, when you upgrade your current attic insulation. It is important to note that only approved contractors can offer this rebate, so it is important to hire a certified GreenON insulation contractor. Though some contractors will offer GreenON certified products, this does not necessarily mean that they are an approved contractor. To be sure that you are hiring the right insulation installer, you can find a list of approved contractors on the GreenON website. AM Insulation Solutions is proud to be a reliable and certified GreenON contractor. 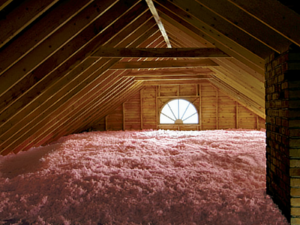 If you are interested in reaping the benefits of new attic insulation this season, contact the insulation specialists at AM Insulation Solutions today!